I love the richness of the design of this Whole Lot of Lovely Designer Series Paper. 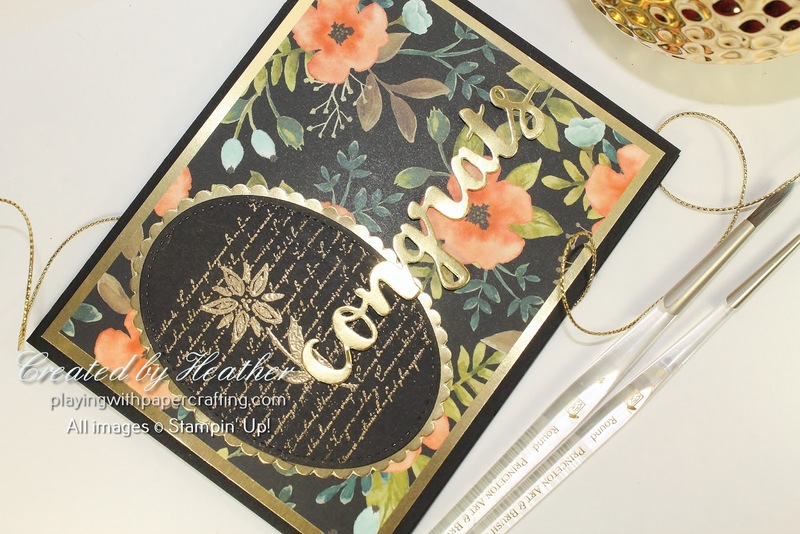 It looks especially amazing on a dark card base - here, I used Basic Black with accents of Gold Foil Sheets. 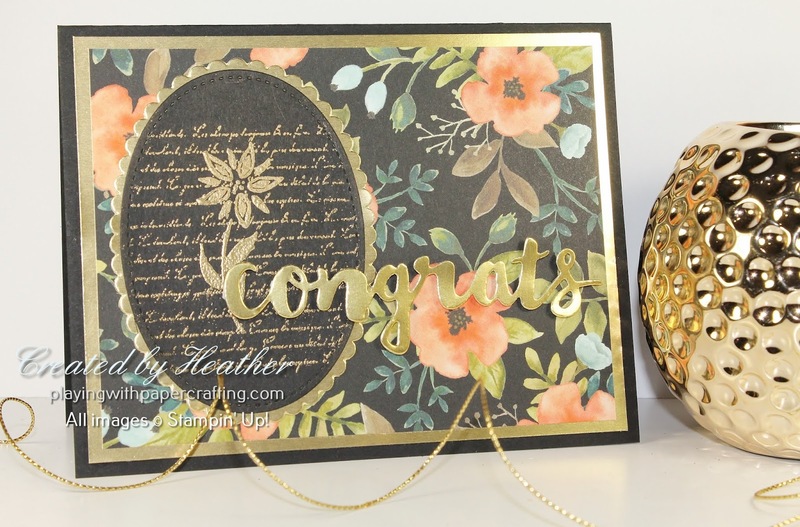 On the Stitched Shapes Oval I embossed a couple of images from a new Host set called Background Bits, in Gold Stampin' Emboss Powder. I love the background script. It's been so long since we've had some. 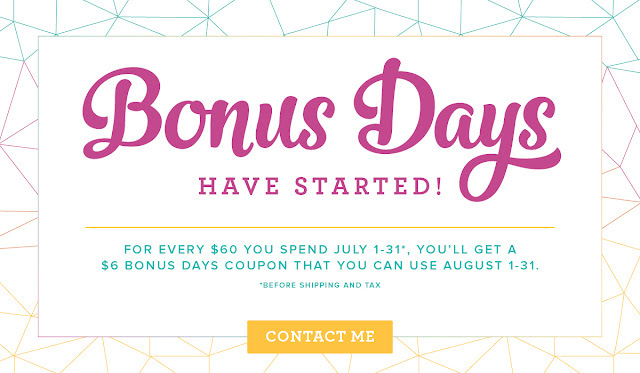 To get this set, though, you must be a host. 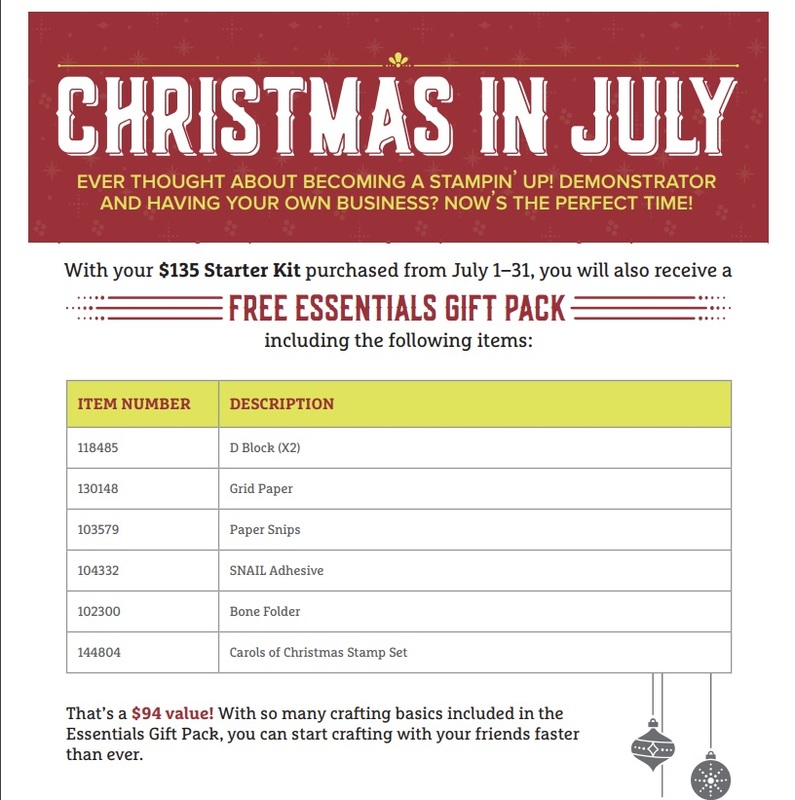 You can host your own party or be a part of my Stamp Club so that on your month, you will be able to order this set for your Stampin' Rewards. 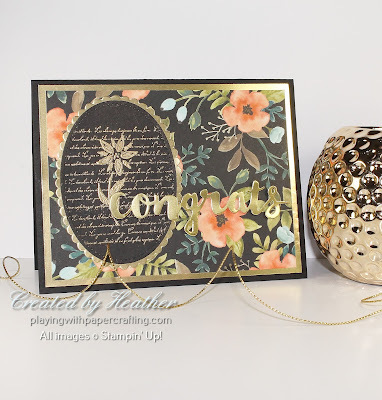 The sentiment is from Sunshine Wishes Thinlits, using Gold Foil Sheets and popping it up on Mini Stampin' Dimensionals cut in half. 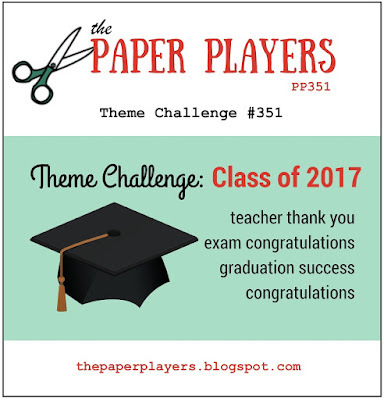 If you want to to join my team click here, and follow the prompts!